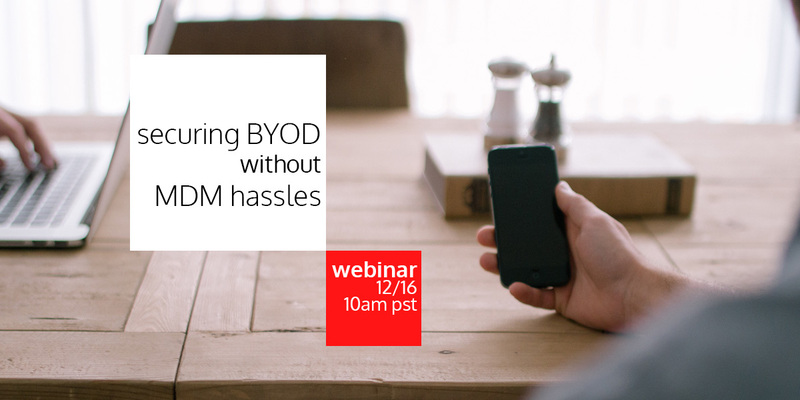 As BYOD demand soars, the need to secure data across all mobile devices, managed and unmanaged, is increasingly important. MDM and MAM have proven unsuccessful, in large part due to deployment headaches, privacy concerns and poor user experience. In fact, 57% of employees refuse MAM or MDM on their personal devices. In this webinar, we will discuss the pitfalls of MDM and explore alternatives for securing corporate data on mobiles."